﻿ How the hell do you... Make a bike defy gravity? How the hell do you... Make a bike defy gravity? The world’s leading professional nutcases, daredevils and racing heroes reveal their expert knowledge on the most ridiculous biking feats you can imagine in MCN’s 20-part, once a week special. Don’t try this at home! 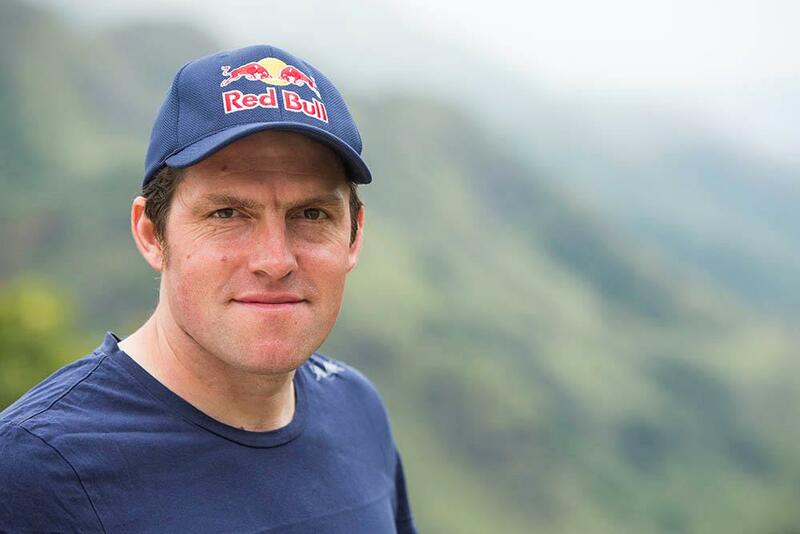 Answered by Dougie Lampkin MBE - Trials legend Dougie has won the FIM World Trial Championship a staggering 12 times and the Scottish Six Days Trial ten times. 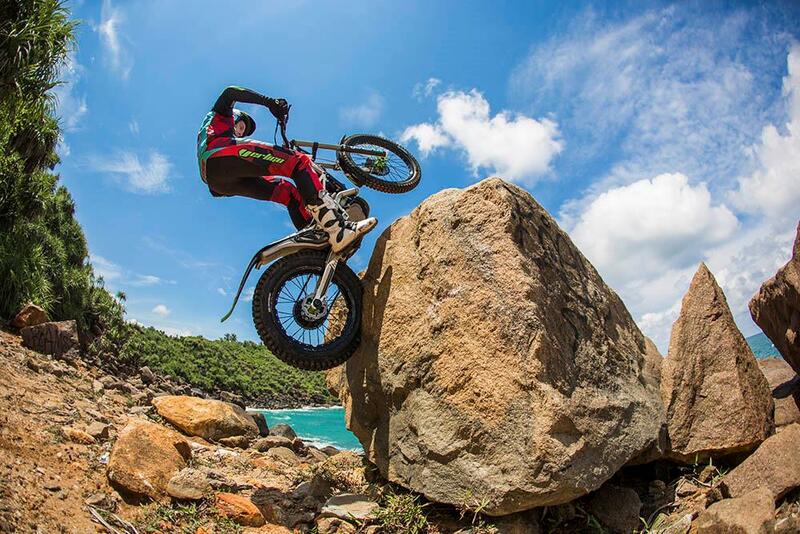 On a trials bike you can climb a vertical cliff face of about two meters from a standing start. Add a small kicker about the size of a breeze block and you can get up even further. I hold the front brake on to steady the bike and then with the bike in third, pull the clutch in and give it full revs while compressing the suspension. You need to treat a trials bike in exactly the same way you would when you physically jump – you compress your legs and leap. You compress the suspension and when it’s rebounding, let the clutch out, pull on the bars and leap! You need to hit the slope with the back wheel first as if you hit with the front you won’t go anywhere and will just face plant. Once the rear hits it will drive and you ride up the slope, helped by your initial momentum and the engine still being held flat out. You only get around 50cm up the slope with the initial leap, the rest is drive, which is why you need to get almost under the slope on take-off. Just remember to lean forwards when the front goes over the top, if you lean backwards you will find out you fall down a slope far faster than you go up it. How the hell do you...Become a stunt rider? How the Hell do you... Ride round the world in 19 days and four hours? How the hell do you... Get your elbow down?